We loaded our Retropolitan Refrigerator with throwback appeal, then flipped the freezer to the bottom for a style savvy look with easy access. The slide-out bottom lets kids grab popsicles on-the-fly and puts the most-used items at arm level for adults. 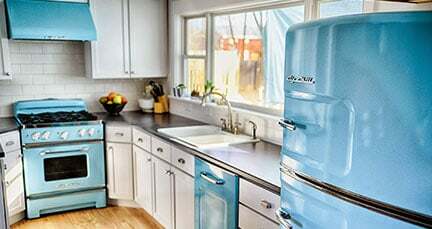 The Big Chill Retropolitan comes with ultimate modern performance, like Energy Star efficiency, a frost-free design, and clear crisper drawers, seamlessly integrated with an iconic 50s vibe. 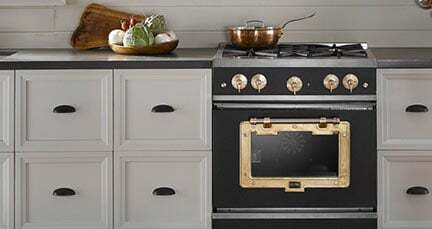 The solid, stamped metal body pays homage to American craftsmanship, while authentic chrome trim and handles exude the charm of a simpler era. And with nine standard colors curated from our vintage vault, you’ll make your kitchen memorable for party guests and growing kids. 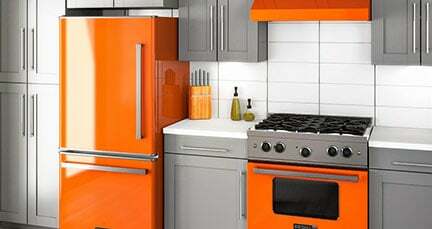 Or create your perfect color combo with one of over 200 custom colors.